CANBERRA, Feb. 11 (Xinhua) -- The Australian government has signed a key contract with French shipbuilder Naval Group for the nation's Future Submarine program. 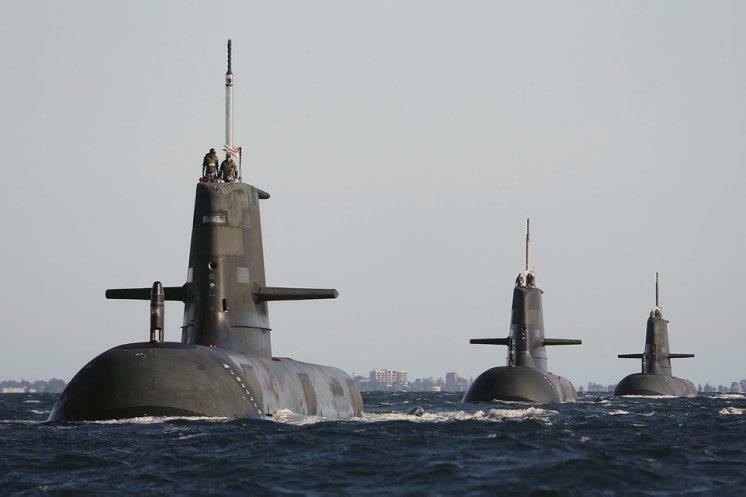 The 50-billion-Australian-dollar (35.5 billion U.S. dollars) contract will see Naval Group design and build 12 new attack class submarines for the Australian Navy, with the first to be battle-ready as early as 2034. Australian Prime Minister Scott Morrison and Defence Minister Christopher Pyne met with French Defense Minister Florence Parly in Canberra on Monday to sign the Strategic Partnership Agreement (SPA) to guide the project, almost three years after Naval Group, formerly known as DCNS, was selected to build the submarines. Pyne, who has repeatedly denied that the project has been set back by protracted SPA negotiations, saying the signing was a "defining moment" for Australia. "The submarines will help protect Australia's security and prosperity for decades to come and also deepen the defence relationship between Australia and France," he said in a joint media release with Morrison and Defence Industry Minister Steven Ciobo. "Our government is committed to maximising local industry involvement in the program to ensure Australians get the most out of this important national investment." The program has been plagued by controversy since the French company had won the contract despite German and Japanese companies making considerably cheaper bids. The Australian Broadcasting Corporation (ABC) in December 2018 reported that Naval Group had made "unprecedented" requests during SPA negotiations, including asking for a 25 percent cost blowout allowance and a two-year extension. Pyne strenuously rejected the report at the time. U.S. giant Lockheed Martin has been chosen to design and fit the new fleet's weapon systems.